While I'm teaching writing in Europe, I'm mining my eight years of articles on writing for you. Once a week I'm posting a link round-up on a certain subject. I'll also re-post an oldie but goodie in full on a different day. And I've got a couple of new posts scheduled for you as well. Today's topic is writing the novel. Scroll down for tons of links! Not sure what exactly is going on in this photo besides the writing. Are you? Okay, that ought to keep you busy for awhile. And remember, I'm teaching my novel writing class this fall, starting in October, if this has whetted your whistle for the process. Next link round-up is a week from today, Tuesday, September 8, on journaling! What I'm Reading: The Surrender Experiment by Michael Singer. I'm leading a discussion group on Singer's most popular book, The Untethered Soul, in October, which is why I got onto this title. It is fascinating, all about how he essentially just said yes to whatever life put in front of him. With fabulous results: he's build several multi-million dollar businesses, wrote a best-selling book, and still manages to maintain a rigorous twice daily meditation practice. What I'm Loving: My new computer. I'm switching from a Mac to a PC, so there's a bit of a learning curve. I was also using a version of Word from 2007 on my old computer, so, yeah. And don't throw things at me if you're a Mac lover but I'm thrilled to be back in PC land. Sorry, but I kinda don't get what the mystique of the Mac is all about. Anyway, my new baby is a Dell Inspiron 2-in-1 laptop with a touchscreen (and a stylus). At 13", it is smaller than my old 15" version but I like that. What I'm Grateful For: The neuro-prolo therapy that I got at my naturopath's office this week. I've mentioned my problems with different length legs and the issues it was causing a few times in passing. It was seriously cramping my style, most especially my love of walking. But this new therapy is amazing! Its not for the faint of heart, as it involves much injecting of solution into the body with tons of tiny needles, but I walked pain free for the first time in a couple of years yesterday. What I'm Doing This Weekend: Moving furniture and boxes. As you know, I've moved my office downstairs. We accomplished that a couple weekends ago. Much busy-ness ensued. But now we have to deal with what we left behind–specifically my old office suite and, oh yeah, all those boxes of books and office supplies. What is new with you? What are you doing this weekend? *** My photo captioning is not working but in the above photo you can see that Lieutenant likes my new computer, too. I don't know about you, but I sure want writer's block. I have absolutely no interest in writing quickly and easily. Or feeling like the words are tumbling off my fingers so fast I can barely keep up. Uh-uh, not me. I would MUCH rather sit and stare at the blank screen on my computer. And when that gets boring, look out the window. I'd prefer to do laundry, or scrub the kitchen floor. Or organize my junk drawer. I don't know about you, but I find that surfing the internet all day is vastly preferable to getting a lot of writing done. 1. Don't know where you are going. Start randomly anew each day, without any concern for what came before. Just pluck inspiration out of thin air and write. Because, you know, that happens. Not. But fortunately you don't want it to, so you are all set! 2. Don't do any prep work. Similar to above, remember that you don't need to know anything about your characters, or where they live and work, or the theme, or absolutely anything about anything at all. Just tell yourself to write! Not knowing any of the above will bring on writer's block faster than you can whisper grammar. 3. Don't write regularly. Nah. Much better to give yourself, oh, say an hour every month or so. Because then by the time you've remembered what it was you thought you might write, your time will be up–and you won't have written anything! Which is, after all the goal. Writer's block, baby! 4. Focus on how blocked you are. Because, you know, what you focus on, you get more of. 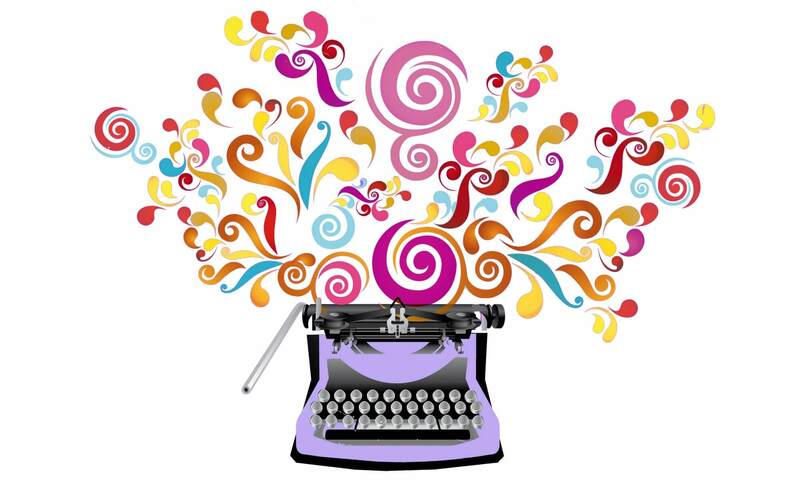 So pondering your writer's block in all its glory is a surefire way to make sure it sticks around! 5. Check email every five minutes. Surely something to distract you will have arrived. Oh look–here's a missive from a nice man in Nigeria who wants to give you money. It's probably worth writing back to him, don't you think? 1A. Always have a place to go. Hemingway famously stopped mid-sentence at the end of a writing session. That may be a bit much, but leave off somewhere that you know what happens next. And/or, write yourself a note about where to go. Time and time again I find that I flounder when I'm confused about where I'm going. 2A. Do your prep work! This will help enormously with #1A. A really fun approach is this book called The Writer's Coloring Book, which I just discovered today. But even if it doesn't suit your style, do some advance work. Think about character, setting, theme and plot. It will pay you huge dividends if you do. 3A. Write every day. Just shut up and do it. 4A. Good, better, best. The Qi Gong master I follow emphasizes this. Do your best in the given moment, whether that is five minutes of writing or two hours. And focus on what you've done, not what you are not doing. Good is better than nothing. That's it for my suggestions. 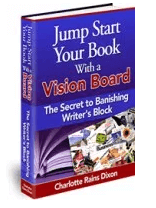 How do you encourage writer's block–or find ways to get over it?